Located throughout America’s vast rural communities, about 1,300 small but vitally important Critical Access Hospitals (CAHs) provide essential healthcare for local residents. With a mandated 25-bed maximum, these hospitals are frequently their area’s sole healthcare provider and represent a vital link in today’s complex healthcare environment. CAHs are dedicated to protecting and preserving their patients’ health, while providing jobs and generating considerable civic pride. Despite their importance to the roughly 23 percent of Americans living in rural areas, CAHs continue to remain particularly vulnerable to any federal legislation that decreases their payments, as a high proportion of their patients are Medicare and Medicaid beneficiaries. Due to their controlled size, CAHs often confront myriad financial fluctuations and performance obstacles generally avoided by their larger, urban counterparts. When the viability of a CAH is challenged by multiple factors – including a small operating margin – outside assistance and support is often required. That’s where CHC Consulting, the consulting arm of Community Hospital Corporation, comes in. Equipped with a broad array of collaborative, custom-tailored services bolstered by a guided recovery or turnaround plan, CHC Consulting experts collaborate with the hospital’s staff to kick-start the journey to corrective action and recovery. 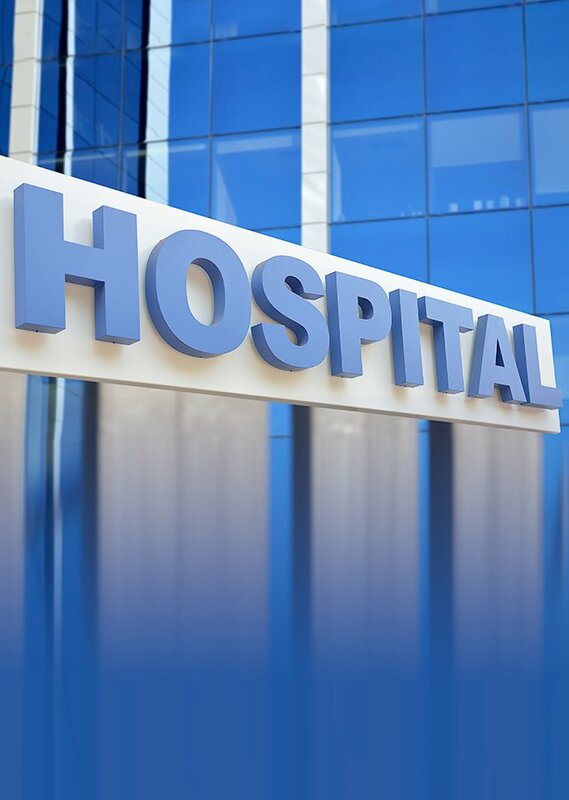 Hospitals resemble ailing patients requiring treatment. Some demand immediate intervention and intensive care while others need minor surgery or a less invasive procedure. Frequently, the patient or the situation needs an intensive examination to determine its well-being. Partnering: A CAH may be near a larger hospital. Forming a relationship with another or larger institution may not only be desirable, but the responsible action for mutual benefit. Swing beds: For patients who require more than the 96-hour maximum acute-care treatment time allowed in a CAH, a swing bed program is strategically important. Instead of transferring the patient to another healthcare provider, the swing bed allows the hospital to retain the patient and provide beneficial continuity of care from the same doctors and nurses. Decreased patient handoffs or discharges often lead to lower readmission rates. Streamline the revenue cycle: Revenue cycle improvements often yield significant bottom-line improvement. Process enhancements include accurate up-front data collection, sending out bills within days of the patients’ discharge and requesting payment at the point of service. Evidence indicates that payments are difficult to recoup once the patient leaves the hospital. Examine supply chain costs: Unlike their larger counterparts, when negotiating alone, CAHs cannot leverage preferred pricing for prescription drugs and supplies. By entering CHC Supply Trust, the supply chain services arm of CHC and CHC Consulting, CAHs can significantly lower their supply chain spend and obtain ongoing support, as well as spend analytics to ensure compliance for optimal savings. Think big: No matter a hospital’s size, key principles and best practices drive success. These include a strong, engaged and dedicated leadership team, focus on efficiencies and cost-reduction, attention to clinical outcomes and meticulous financial oversight. Seek growth opportunities: In today’s ever-changing healthcare landscape, community hospital leaders should continuously evaluate their patient population and, when appropriate, introduce new revenue-generating services that better serve their patients. Guided by the needs of their local patient population, these may include expanded or enhanced geriatric and cardiovascular services, telemedicine provisions, or even substance abuse support programs. “Before CHC came on board, we didn’t have the infrastructure or insight we needed to improve the hospital’s performance. Today, there is such a tremendous energy around here,” said Karen Barber, CEO of Yoakum Community Hospital, a critical access hospital located in Yoakum, Texas. Community Hospital Corporation owns, manages and consults with hospitals through three distinct organizations – CHC Hospitals, CHC Consulting and CHC ContinueCARE, which share a common purpose to guide, support and enhance the mission of community hospitals and healthcare providers. Based in Plano, Texas, CHC provides the resources and experience community hospitals need to improve quality outcomes, patient satisfaction and financial performance. For more information about CHC, please visit www.communityhospitalcorp.com.